Suddenly I am discovering a whole new range of L'oreal products, which I never tried before and I am liking almost all of them so much. 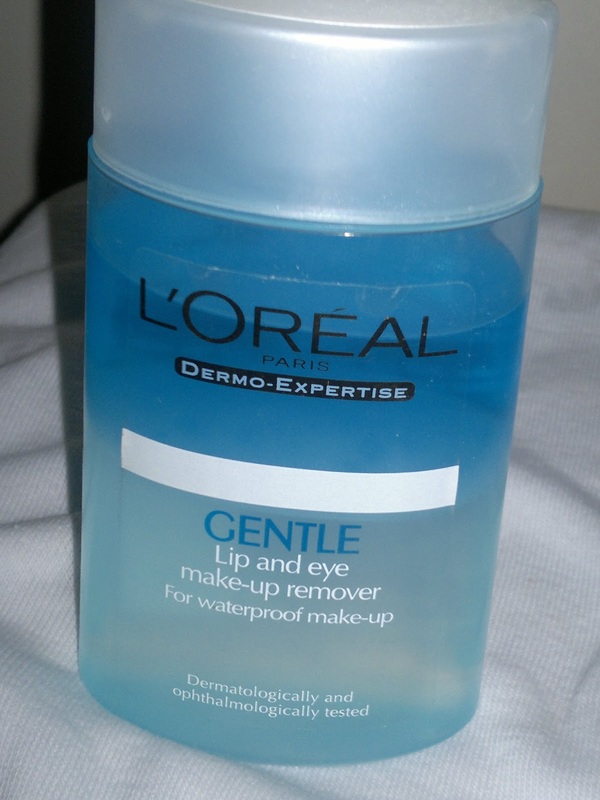 One such product is L'oreal Dermo Expertise Gentle Lip and Eye Makeup Remover. After the sad experience with Revlon Lip and Eye Makeup Remover, I was looking around online websites for a new one and saw this one by L'oreal. As always, it was an impulsive buy without reading any other reviews on the web. Price: INR 450 for 125 ml of the product. Packaged nicely in a transparent plastic bottle which shows off the dual layers clearly. 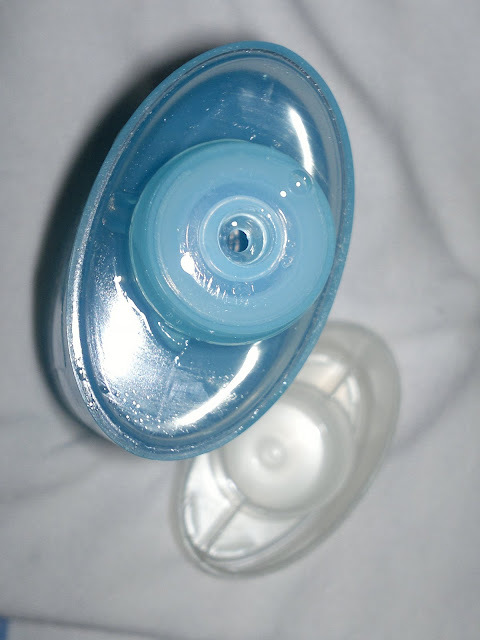 Study twist around cap, which prevents spillage of product. Nice and sturdy travel friendly packaging. 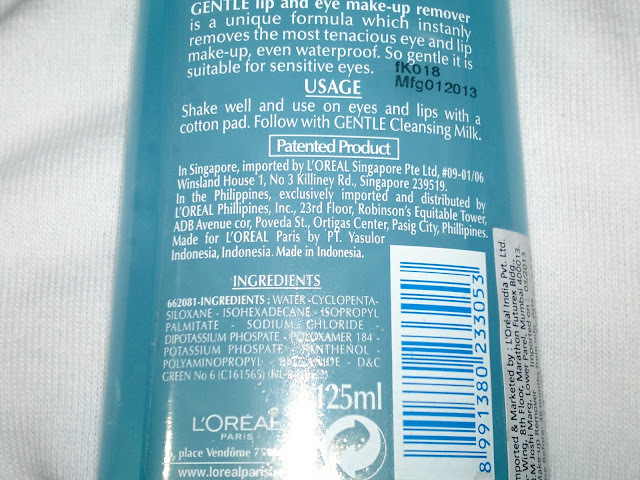 I have been using the L'oreal Dermo Expertise Gentle Lip and Eye Makeup Remover for about a month now, and I must say that even though I dislike the animal testing done by L'oreal, I still like this product a lot. This is a good makeup remover, which removes all makeup within seconds of application. I don't have to rub or stretch my skin at all. The remover works quickly, removing all the makeup in the time I wipe away my face. It removes all traces of waterproof mascara, eyeliner, kajal, eyeshadow, foundation in a single swipe. The makeup remover hasn't broken me out even once and my skin feels clear and soft after using it. But, I always make it a point to follow-up with a facewash for that squeaky clean skin devoid of any residues. The makeup remover hasn't stung my eyes like crazy, when I got it into them accidently . Product rating: A-, available at most L'oreal counters and online e-commerce beauty websites. 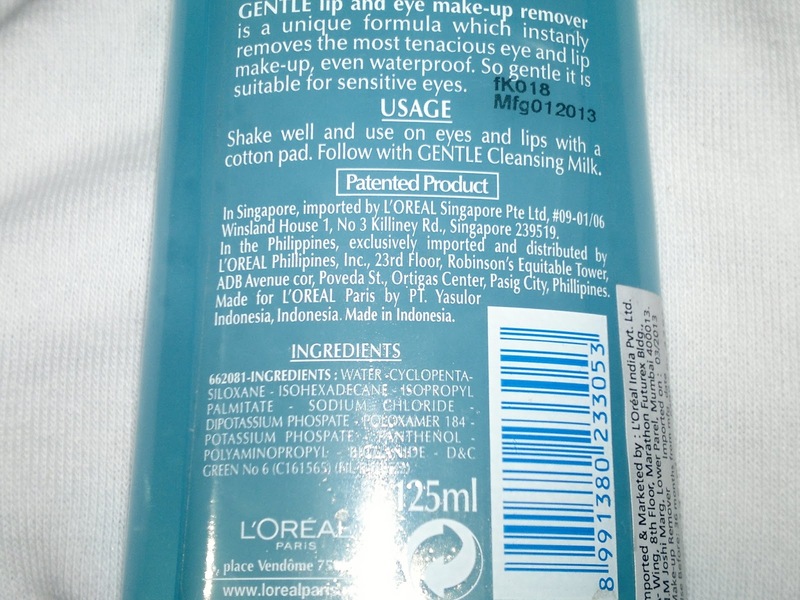 Would definitely recommend L'oreal Dermo Expertise Gentle Lip and Eye Makeup Remover to all for the awesome quality, but those who are strongly against animal testing should look out before you buy it.